Yorkshires and North East England’s leading water cooler and bottle water provider AquaPoint is the right choice to make if you are in desperate need of fresh thirst quenching beverage in your workplace, office, warehouse, studio or gym. Our knowledge and experience in the H2O industry makes us the leading supplier of bottled water and water coolers. 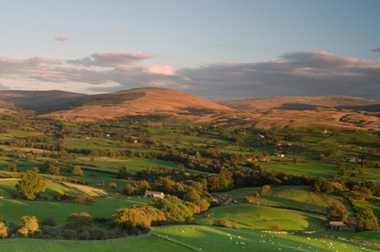 We know that our water is perfect and free of impurities as we use a natural source in the heart of Yorkshire. Our engineers are always on hand and ready to be called out if action is needed at any time, they carry tools and stock on board of their vehicles if anyone should need a cooler. If you already have a cooler installed with us, we provide maintenance value as well to make sure that your cooler is always working to its full capacity. Having a water cooler is vital in your work place whether you have an office, warehouse, gym, studio or other public areas. Our coolers are available in a variety of styles to suit every type of business. The benefits of having our water on hand is you can either have the cooler plumbed into the water mains or have our fresh choice of water supplied in bottles. This will keep your workers healthy and appreciative of a quick, simple and refreshing source of water. It seems that too many workers pop out for a quick drink and find themselves buying hot drinks and sodas that are relatively unhealthy. We like to keep our customers thirst at bay and make sure they are happy. We are experienced, we’re knowledgeable and we hope you love our water as much as we do. Our delivery drivers carry coolers, bottles and accessories all over the area, so if you need them urgently, that is not a problem. They are happy to supply you with fresh, chilled, great tasting natural water. We keep Brigg and nearby Hull, Doncaster and York refreshed and productive. We keep Brigg and nearby Hull, Doncaster and York refreshed and productive.